Physics and astronomy are disciplines that have given us the tools to stretch human understanding of the universe, from the building blocks of matter to the structure and evolution of the most distant galaxies. 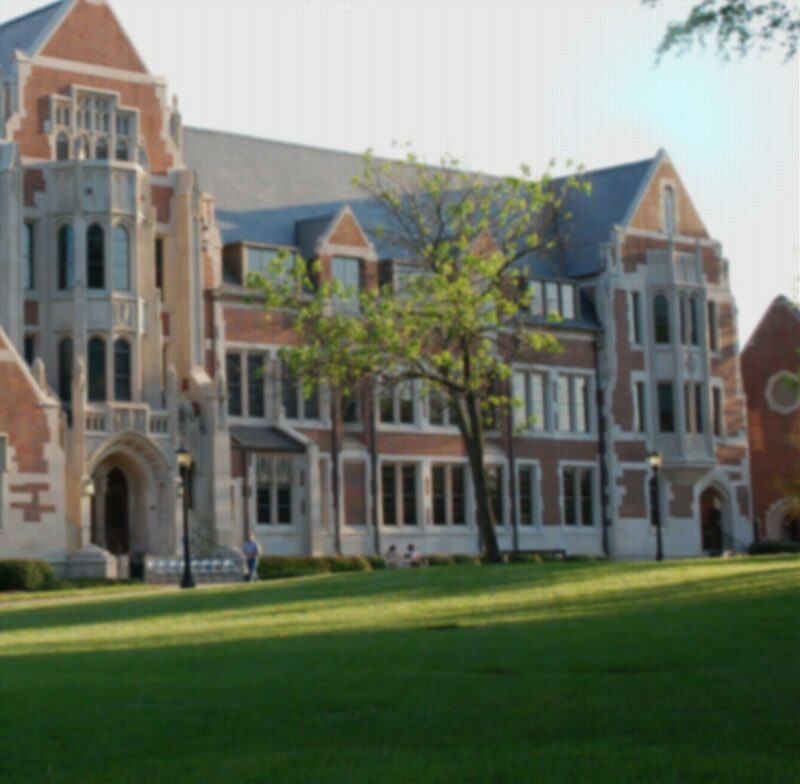 Courses at Agnes Scott cover subjects as common as gravity and electricity, and as unusual as quantum mechanics, relativity and dark matter. Quantitative discussion of physical phenomena. Knowledge of algebra and trigonometry is required. This course does not count toward a major or minor in physics or astrophysics. Students planning to major or minor in physics or astrophysics should take Physics 202-203. Physics 102/Lab satisfies the lab science distribution requirement. Credit cannot be received for both PHY-102 and PHY-202. Elements of Physics II/Lab. Continuation of Physics 102/Lab. Credit cannot be received for both PHY-103 and PHY-203. Lab-based course introducing computation and program development. Introduction to the fundamentals of computational problem solving and the Python programming language. Students will use and modify existing programs as well as write their own. Semester projects will be built around areas of interest of enrolled students. No prerequisites. This course provides answers to many musical questions using physics: "Why does a zurnah sound different from a ney? Or a french horn from a bugle?" "Why does every culture recognize the interval of the octave?" We will cover both music topics like pitch, instrumentation, intensity, and quality; and physics topics like standing waves, interference and frequency analysis. Students will work in teams to pursue measurements relating physics and music during class time, a model that fully integrates lecture and lab. Examples of music and instruments will be pulled from around the world, highlighting the cultural-specific aspects of music from the physics fundamentals. Students will present a final project consisting of a self-designed investigation of a musical phenomenon. Students may petition to have this course count as a 200-level elective in music. An introduction to geology, including the study of common minerals, rocks and fossils. Discussion of the modification of the Earth’s surface by geological processes such as volcanism, tectonism, gradation (gravity, wind, water and ice) and impact catering. Consideration of geology of other terrestrial planets and moons. A calculus-based course with laboratory covering Newtonian mechanics, oscillations, and other classical physics topics. Credit cannot be received for both PHY-102 and PHY 202. A calculus-based course with laboratory covering electricity, magnetism, circuits, and light. Credit cannot be received for both PHY-103 and 203. One-semester introduction to the fundamentals of modern physics with integrated modern physics laboratory. Students perform simulations and experiments important to the development of modern physics and are introduced to modern experimental techniques. Topics include: relativity, atomic physics, wave phenomena, quantum mechanics, nuclear physics, and particle physics. Course provides a broad base of understanding of modern physics for use in upper-level physics and astronomy courses. Activity based course introducing numerical analysis techniques and data analysis tools developed for the Python programming language. Students will develop skills in data visualization and work with datasets from their fields of interest. Prerequisite: MAT-119; PHY-130 (or permission of instructor in lieu of PHY-130 based upon evidence of successful completion of the codeacademy.com Phython program). Students perform experiments important to the development of modern physics. They are introduced to modern experimental techniques, including keeping a formal lab notebook, computer-aided data acquisition, electronic instruments, and data and error analysis. Newton’s system for describing and predicting motion, the formulations of Lagrange and Hamilton, central forces, oscillations, chaos, rigid bodies, accelerated reference frames, relativity, continua and waves. Equilibrium thermodynamics, statistical methods, quantum methods in thermal physics, discussion of thermal phenomena such as phase transitions, superconductivity, superfluidity, magnetism and applications in chemistry, engineering and astrophysics. Maxwell’s equations applied to static and to dynamic situations, production and propagation of electromagnetic radiation. Spin and matrix mechanics. Dirac notation. Schroedinger’s equation applied to one-dimensional situations and then to atomic, nuclear and molecular phenomena. Systems of identical particles. An overview and introduction to general relativity, including flat spacetime (special relativity), tensors, the calculus of curvature, and the Einstein equation. Other topics may include neutron stars, black holes, the early universe, evolution of the universe, and Cosmic Microwave Background. Bi-weekly (~8 meetings per semester) colloquium for all students enrolled in all 400-level courses in a given semester. Students will share research, projects and internship results. Course is pass/fail. Can be taken multiple times. Corequisite: Any 400-level Physics or Astronomy course. An additional course for students seeking greater depth in physics problem-solving. Students will identify specific areas of physics for development or enrichment and will work together to solve a variety of physics problems. May be repeated for credit. Directed reading courses are open to qualified juniors and seniors to pursue reading outside a program's listed courses. Please see the Special Curricular Opportunities section for more information. A capstone experience for astrophysics and physics majors. Topics will include use of online and other research resources, research methods and the ethics of scientific research. Students in the class will report regularly on their research experiences, or—if they are not actively engaged in a research project with a faculty member—on recent advances as reported in the scientific literature. Directed research courses are open to junior and senior majors to work with a faculty member on a project related to particular field of intellectual or artistic interest. Please see the Special Curricular Opportunities section for more information. Please see the Special Curricular Opportunities section for more information. A senior thesis gives superior students the opportunity to write a thesis about a project related to particular field of intellectual or artistic interest. Please see the Special Curricular Opportunities section for more information. A survey of the universe beyond our solar system. Fundamental techniques and discoveries in galactic and extragalactic astronomy. Topics include stellar evolution, black holes, structure of the Milky Way, large-scale structure and cosmology. Majors and minors are encouraged to take this course along with AST 200L. A semester study of a topic chosen from such areas as planetary astronomy, the search for life in the universe, astrobiology, elementary particles, cosmology, energy and the environment. Possibility for interdisciplinary topics and informal astronomical observations. May be repeated for credit when topics change. A laboratory experience in which students learn observational methods of radio and optical astronomy. Use of computer-controlled optical and radio telescopes, electronic (CCD) imaging and photometry. Students also learn to operate the Zeiss ZKP3 planetarium projector. The application of physics to the study of astronomical radiation. Topics include multiwavelength astronomical telescopes and instruments, stellar and planetary radiation transfer, stellar evolution, the interstellar medium, the intergalactic medium, magnetic fields and cosmology. The application of physics to the study of astronomical structures and motions. Topics include dynamics from planetary to galactic scales, distance determination, galaxy evolution, mass distributions, large-scale structure and cosmology. A capstone experience for astrophysics and physics majors. Topics will include use of online and other research resources, research methods and the ethics of scientific research. Students in the class will report regularly on their research experiences, or if they are not actively engaged in a research project with a faculty member on recent advances as reported in the scientific literature. If you are interested in credit or placement based on AP or IB tests, please see this page for AP and IB information.